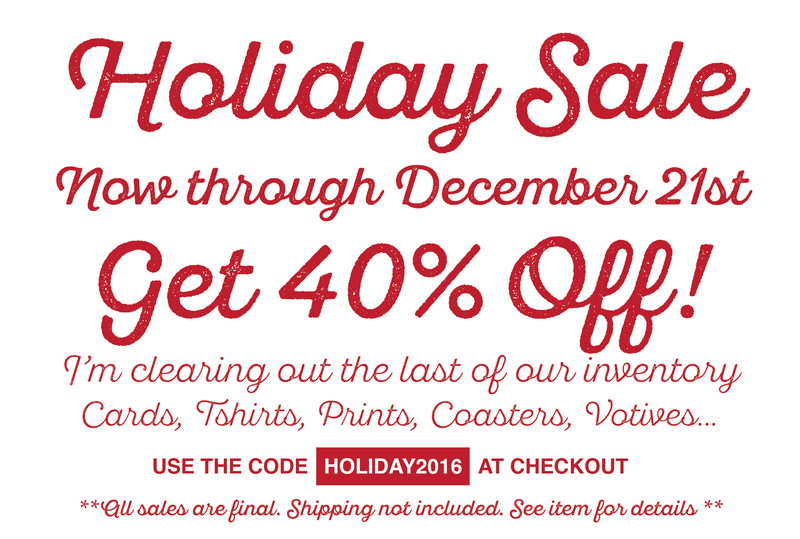 It’s the Holidays Season and we are blowing out the remaining Once Blind Studios inventory at 40% OFF! We have some great winter and distillery themed greeting cards and posters as well as Heritage t-shirts and coasters that make for great gifts. Click here to view available items and remember to add your “HOLIDAY2016” coupon code at check out.